We understand that it is a difficult time for you and your family when a loved one passes away. Nothing can be more stressful and emotionally draining than the mourning of your loss. Unfortunately, the grieving process leaves little room for the major decisions that are thrust upon you. The passing of a loved one can be costly and time consuming, particularly if there is no plan in place. Creditors, financial institutions, and other interested parties must be notified, funeral and burial arrangements must be carried out; debts must be addressed, taxes must be paid; tangible and intangible assets must be protected and eventually transferred to beneficiaries; and the decedent’s overall wishes must be carried out. There is quite a lot to do. Our firm will guide and counsel the Personal Representative or Trustee at each step so that you fully understand the role and the duties required of you. In this way we can ensure that the estate administration will be handled in a smooth and organized fashion. Our process begins when you meet us to help gather specific information about the estate. Determining how you “hold title” to your assets is one of the most critical exercises in developing a plan to transfer them at death. Identifying how your assets are held will greatly impact how they are distributed upon death and what, if any, consequences they will have with respect to income and estate tax liability. Beneficiary Designations: Typically, life insurance death benefits, funds from employer sponsored retirement plans, IRAs and annuities pass to the named beneficiary by the account holder because they are considered contractual obligations to pay out a death benefit and hence avoid probate. Payable-on-death (POD) bank accounts: Assets registered POD pass directly to the named beneficiary upon the account holder’s death. Under a POD registration, the account holder retains exclusive rights to the account while he or she is alive and retains all rights to change the beneficiary of the account. Joint Ownership with Rights of Survivorship (JTWROS): Property owned in joint tenancy with rights of survivorship automatically passes, by operation of law, to the surviving owner when the other passes. Unlike tenants in common, joint tenants do not own a fractional interest; rather, each tenant owns 100% of the whole rendering the asset non-probatable. 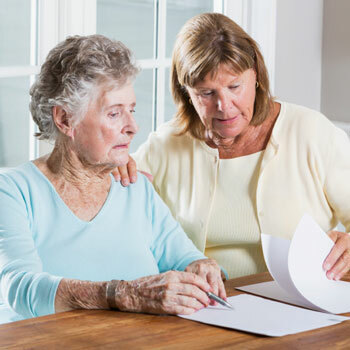 Tenants in Common: Where two or more people own property without rights of survivorship, each tenant’s ownership will become part of his or her probate estate and be distributed the individuals designated in his or her Last Will and Testament. Fee Simple Property: Fee Simple Property involves property wherein complete ownership is vested with one owner. Having sole and absolute ownership no survivor interest exists subjecting this property to the probate process. Typical examples of fee simple property include vehicles, stock certificates, home, beach house and/or farmland.